J. R. Maxwell & Co. 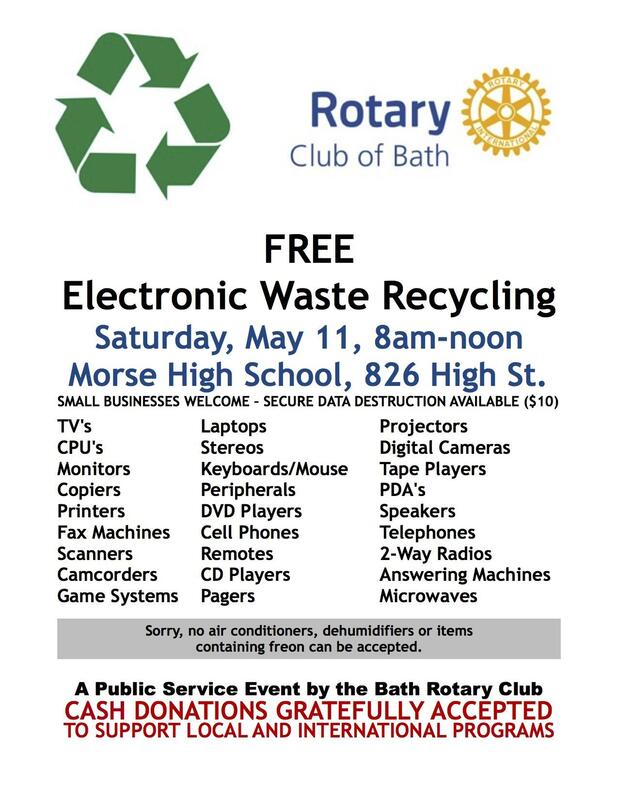 The Bath Rotary Club will be holding an Electronic Waste Collection on Saturday, May 11 from 8 a.m. to noon in the parking lot of Morse High School, off Chestnut Street. 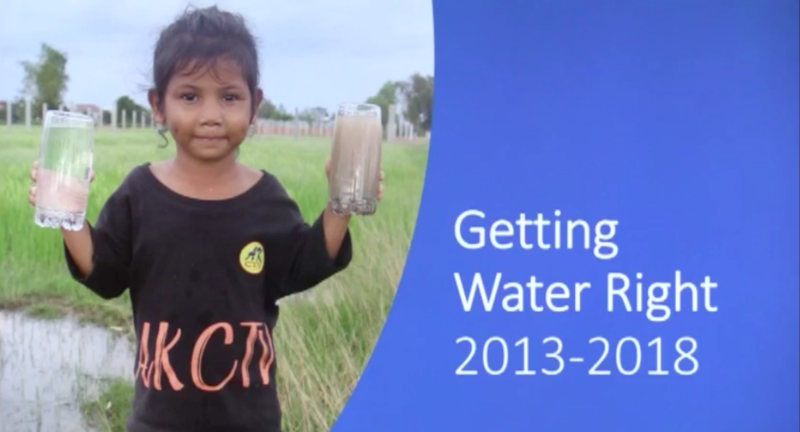 Donations of $5 per item and $1 for small items is suggested. Secure data destruction is available for a $10 fee. It was very cold but sunny (to start) at our Fill-A-Bus Food Drive held on Saturday, February 2nd at Shaw's Supermarket. In the top photo Tom Edwards, Assistant DG Bob Reed of the Sunrise Club and Mike Jamison man the table at the front entrance. The bottom photo features Tom Edwards (ready to end his shift! ), with relief from Jeff Guenther, Jason Ritchie and Caelie Smith. We collected $567 in cash, $150 in checks and 1633 pounds of food for the Bath Area Food Bank. A Super Saturday indeed! 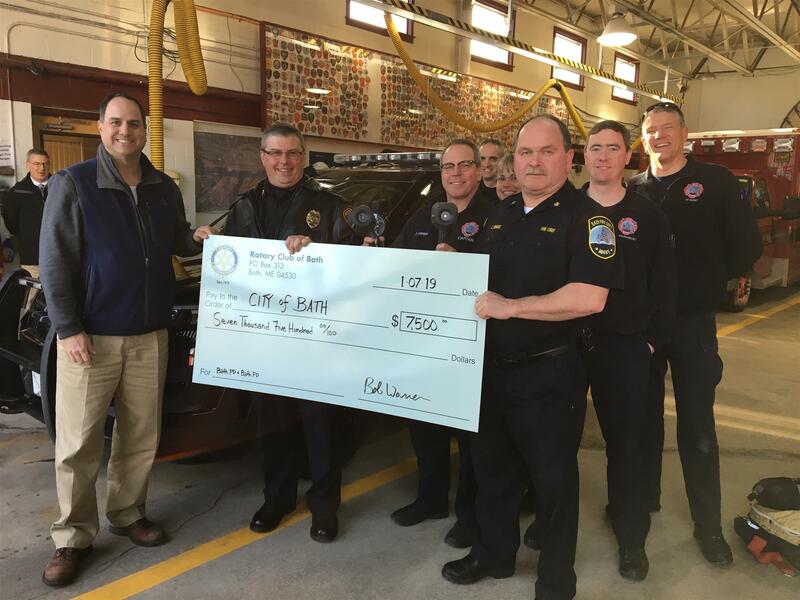 Bath Rotary President Bob Warren (far left) stands next to Bath Police Chief Mike Field and Bath Fire Chief Buddy Renaud (right) with members of the Bath Fire Department as they demonstrate the new thermal infrared imaging cameras that were purchased with proceeds from the Bath Rotary's golf tournament this past June. The units have already been put into use. 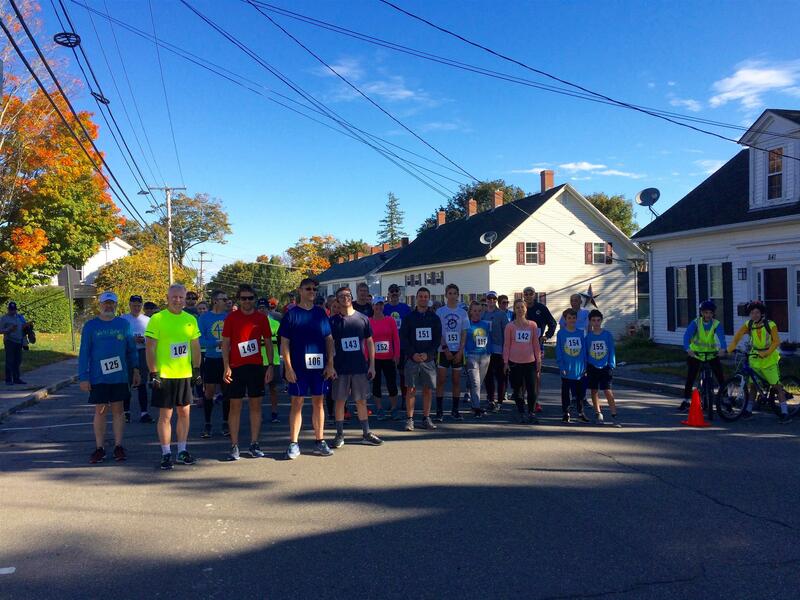 Bath Rotary President Bob Warren presented Jamie Dorr and Chief Mike Field of Midcoast Community Alliance $2500 from the proceeds of this year's 4-Way 5K walk run. The donation will help raise awareness in helping to prevent teen suicide. Work is moving along on the newest modular home being constructed by the Carpentry Program at BRCTC. In advance of her trip to Iraq, Sandra Basgall has made a very generous donation to the Bath Rotary Club's International Projects. Above Rich Cromwell, International Committee Chair, accepts her check at the August 14th meeting. District Governor John Lobosco visited our club and assisted Foundation Chair Lee Patenaude and President Bob Warren with presenting Past President John Evans with a 5-time Paul Harris Fellow award. Rotarians and their family members and co-workers helped repackage diapers at the United Way of Midcoast Maine on July 7 for the first Community Service project of the Rotary Year. Bath Savings had just concluded a very successful Diaper Drive and there was a great need to have the diapers repackaged for distribution to families in need. 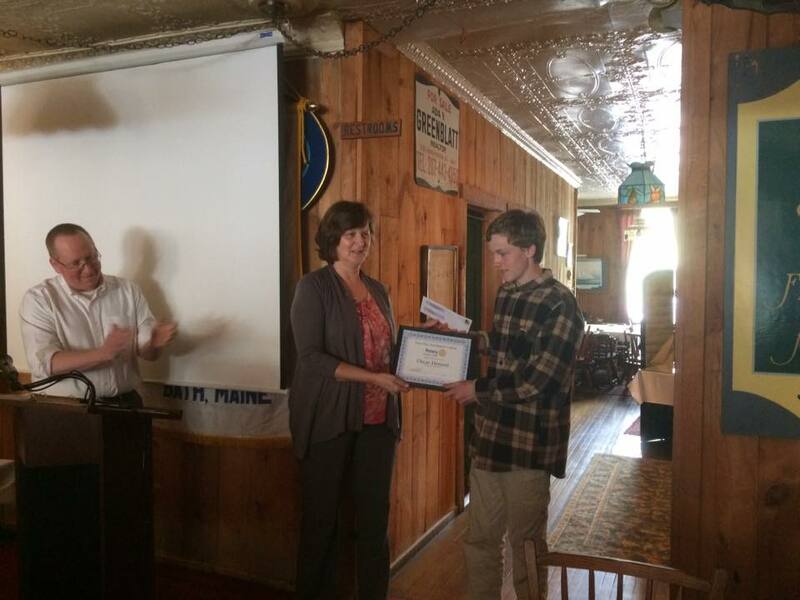 Kerstin Kirchner, District Literacy Chair, presents 4-Way Speech Contest winner Oscar Hennin, a Morse High School Freshman, a certificate and check for $750 at the May 15, 2018 meeting. Congratulations Oscar! 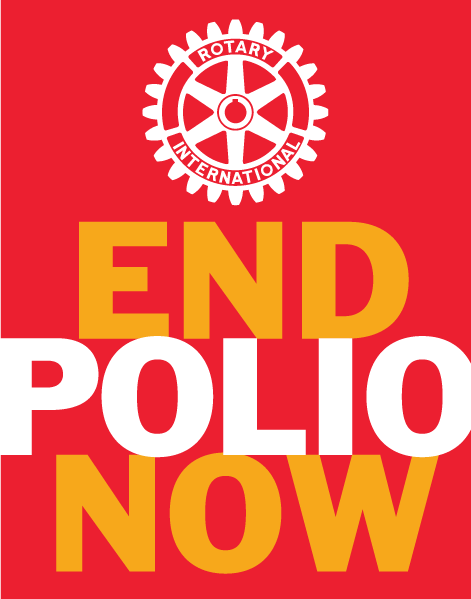 Rotary Club of Bath - Hello Everyone!